May would have to be one of my favourite months of the year and it's not just because it happens to be the month of my birthday. You see, I love birthdays, Easter, Christmas, you name it! Sharing a great meal with family and friends, relaxing on public holidays and giving presents are just a few of the little things that we can all look forward to in our busy lives. We are all in a hurry, whether its fighting traffic to get to work, rushing to make an appointment or to make that gym class, grocery shopping, or spending some quality time with loved ones.We all know what it feels like to be in the express lane of life. So sometimes its just nice to stop, relax, and take some time out to do something that grounds us. For me its taking a yoga class, it helps to clear my mind and realign my body, especially after sitting in an office most of the week. Here, I wanted to share with you some of my favourite things for the month of May. I recently attended Sydney's Mind, Body & Spirit festival and I really enjoyed it, particularly because I got to try some new foods. 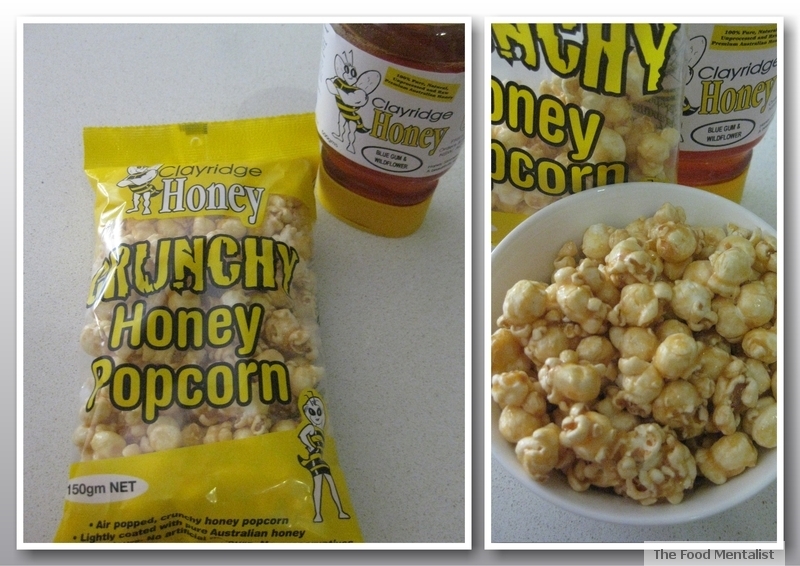 Clayridge honey and popcorn were two of the products I got to sample and subsequently purchased. The honey comes from Jervis Bay in NSW and is cold extracted, unprocessed and not heat treated or pasteurised which is nice as a lot of commercial honey we buy these days has been pasteurised. The less processed the better I say. I purchased their Blue Gum & Wildflower variety of honey in the 500gm squeezy bottle. 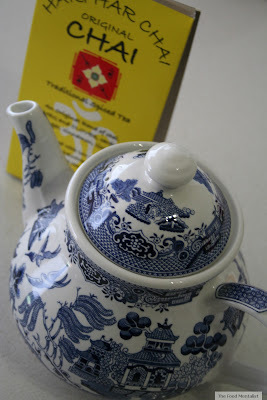 Its flavour is rather mellow and it tastes quite similar to ironbark honey varieties. Its perfect for my chai tea and on hot buttered toast, mmm. I just had to buy a bag of the honey popcorn too as it brought back childhood memories of Lolly Gobble Bliss Bombs minus the nuts. It was really crispy and despite the honey, had a lovely caramel flavour. Pete and I demolished the bag in no time. 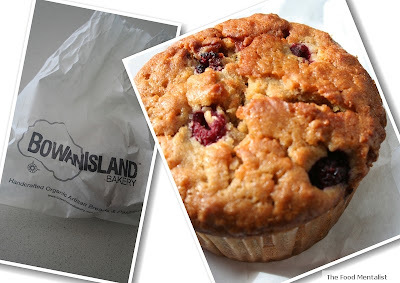 I have been obsessed with these muffins ever since I discovered them about 2 years ago but have been on a hiatus and only just started buying them again. 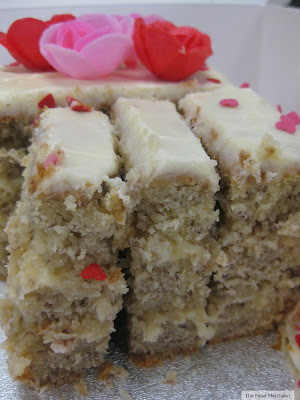 They are full of goodness including oats, buttermilk, organic unbleached flour and fresh raspberries. I even tried to make my own version, but they just didn't compare, I'd love to know their secret. They come in small and large ($4) and I figure the small ones just aren't enough. Bowan Island Bakery have stores in Drummoyne, Five Dock and Chatswood so if your nearby make sure you try one. They are perfect for breakfast and whilst you are visiting why not pick up one of their sour dough loaves or Irish soda bread. 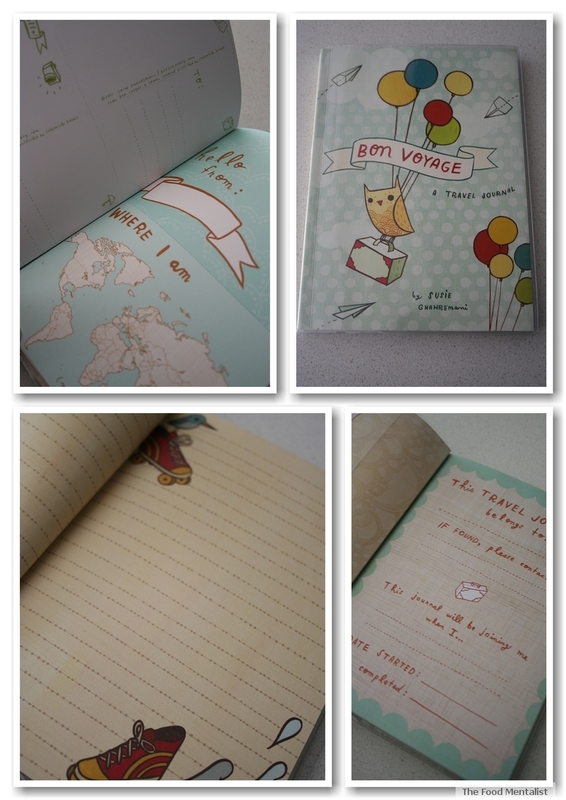 Girlfriday bought me this gorgeous travel journal for my birthday last week to use during my upcoming trip to Bali next week with Pete. 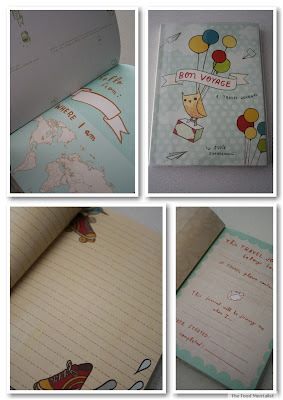 It has postcards, 'things to do' , and other little quirky suggestions to record during your trip. I cant wait to start using it, Love it! Have you seen the new ad for this chocolate on television where the woman hides a block of this chocolate from her husband in her Pilates DVD case? If not watch it here. Its a great commercial. So when I received a pack of this chocolate to sample I was pleasantly surprised by its discreet packaging. So to were my girlfriends who I shared it with. It comes in chocolate, hazelnut and caramel mousse flavours. What I love about this chocolate is that it super sweet and rich and therefore you can't eat it all at once. The texture is a nice change from traditional dairy milk and it is rather creamy. The pieces are an unusual shape too and quite large so it makes it the perfect block for sharing. I actually really like the unusual shaped pieces. I didn't quite like the caramel flavour as I tend to not like caramel unless its oozing out 'Caramello Koala' style. Instead, I much preferred the hazelnut and the chocolate variety of this chocolate. Now, if you are a dark chocolate nut then this chocolate won't be for you but if you too like ALL chocolate then you will quite enjoy this one. I've also kept the DVD case for future chocolate block stashes. We have been busy testing the new Phillips Airfryer and it has become one of our favourite kitchen appliances. Here we tested some frozen beer battered chunky chips and they turned out even better than their deep fried counterparts. They were super crispy and gone in seconds! The airfryer can be used to cook a whole range of foods without all that nasty oil, and we are really enjoying using it. Stay tuned for an upcoming review. Max the crazy cat will always be one of our favourites, but this month he has been the subject of many photos as I learn to use Pete's Canon SLR. Max has become particularly lazy of late due to this cold weather and the rain has prevented him from venturing out too far. He can be found controlling our heater most evenings and gets really moody if we try and move him. This month we have continued our love affair with this delicious food. 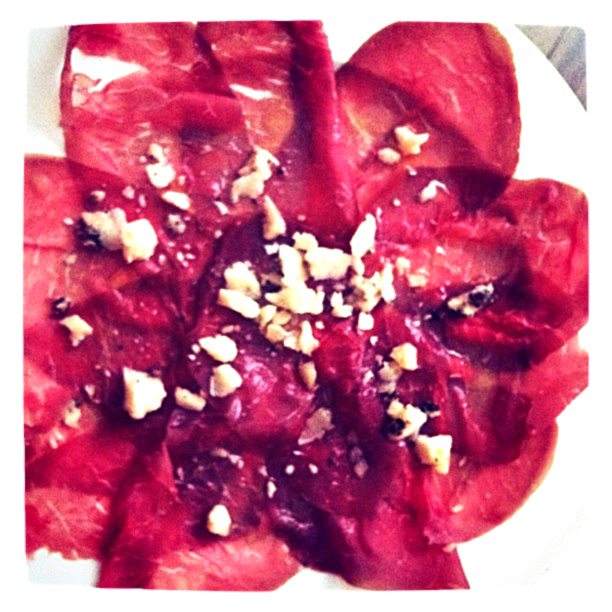 Bresaola is a salted, air dried beef that has been aged for several months. We discovered this through our local deli who urged us to try some one day, suggesting we serve it the traditional way: drizzled in olive oil, lemon juice and a good crumbled pecorino. We've been eating it ever since but after recently discovering truffle pecorino ( again through our wonderful deli) we now use the it in place of regular pecorino. The flavour combination is just amazing and we sometimes eat it on its own for lunch on a weekend or as an entree. If you do decide to try bresaola, make sure you ask your deli to slice it paper thin, as it is at its best served this way. This promotion has run from the 8th May and finishes this Thursday 2nd June. 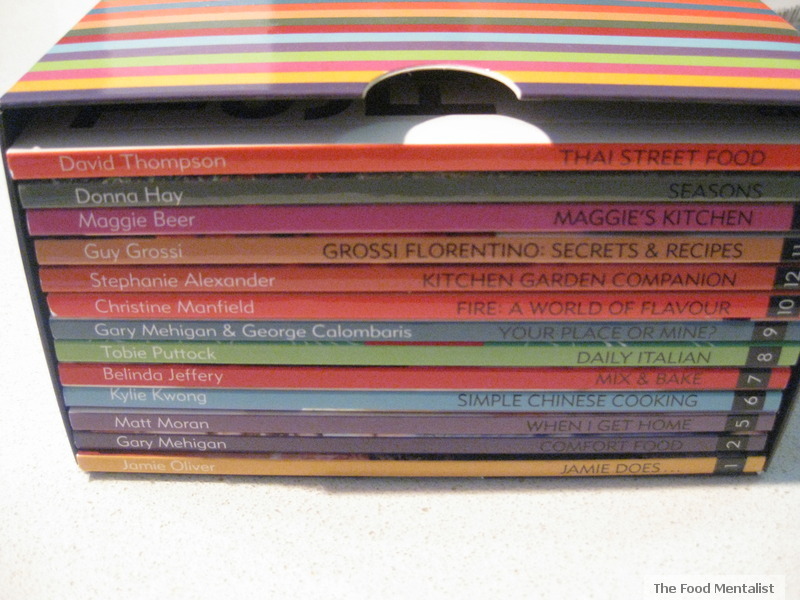 I have been lucky to get my hands on all of the cookbooks except Abla's Lebanese Kitchen but I wasn't too concerned about that one because I already own the full version. The books are great and Pete and I plan on working our way through them. A little out of order, Maggie what are you doing up there? I was lucky in my second week of this promotion to meet up with Martyna from Wholesome Cook for the Penelope Beveridge Food Styling & Photography Workshop and Martyna brought along the mini Gary Mehigan book which I had nearly missed out on. Thanks again Martyna! To read more about our evening with Penelope Beveridge click here. It too was one of my favourite things during May. Well, I hope you have enjoyed reading about some of my favourite things this month. Tell me, what were some of your favourite things during the month of May? How do you relax? 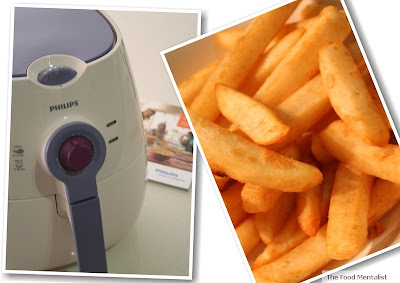 The Phillips air fryer seems to be a popular gadget as I've read a few blog posts about it. Having read a few reviews I'm starting to really like the idea of the air-fryer - I'm into making healthier meal alternatives and this seems like the perfect little helper. I adore your cat - he seems to have a gorgeous personality! Makes me miss mine. And your teapot! And it was my pleasure to not only get you the cookbook, but also to meet you. Thanks for the link. I'm really intrigued by both the air fryer and the popcorn. I have a popcorn obsession actually, will have to try to get my hands on this! Lollygobble Bliss Bombs! That brings back memories. 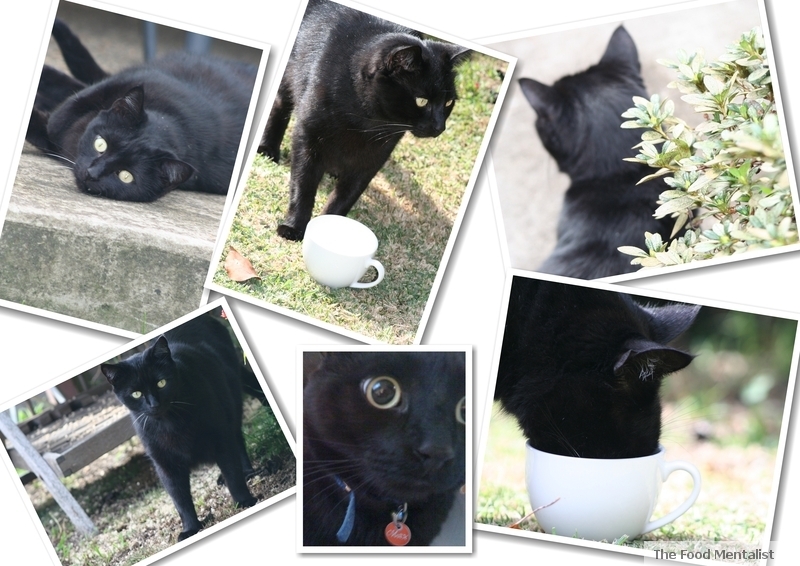 Love your teapot and the gorgeous Max - am a sucker for black cats. That's so awesome, you can put the honey in the chai tea in the teapot to have with your muffin! My favourite things in the month of May are my little sister's birthday (she just turned four!) and the trees on my street that shed thos multi-coloured leaves in Autumn. 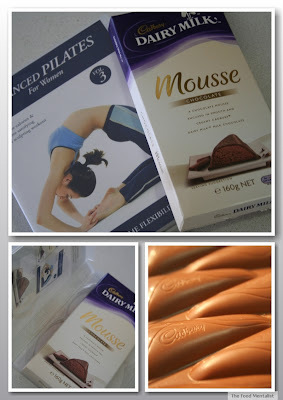 I love the cadbury mousse! I couldn't get enough of it. I think i devoured the whole thing in less than an hour that one time. :) I paid for it the next day at the gym though. But what a treat that was. LOL! May's my birth month too. A great month to be born. That air fryer really captured my attention. I need to learn more about that one. It's so so awesome, the Airfryer idea is a fantastic machine for a quick, easy 2 person meal and plus cooking was much healthier.